James Bond 25 gets Cary Joji Fukunaga as director! Now with Release Date! Hey folks, Deadline Hollywood brings word that the James Bond producers have hired Cary Joji Fukunaga as director! Fukunaga, known for BEASTS OF NO NATION and "True Detective" should make for a great outing for Bond. Despite making the deal, the as-yet-untitled 25th James Bond film will not attempt to hold its 2019 release date, as star Daniel Craig has already committed to filming KNIVES OUT this November for Rian Johnson. Production will likely begin early next year. 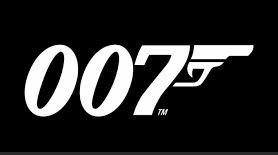 UPDATED: Michael G. Wilson, Barbara Broccoli and Daniel Craig announced today that #Bond25 will begin filming at Pinewood Studios on 4 March 2019 under the helm of director, Cary Joji Fukunaga with a worldwide release date of 14 February 2020.